According to WikiPedia: A résumé is a document used by individuals to present their background and skill sets. Résumés can be used for a variety of reasons but most often to secure new employment. Your résumé should include experiences, educational qualifications and other talents should display in a proper way to get more impression from interviewer. Most of the time companies uses applicant CV’s to screen best among the list. Are you preparing for an interview? 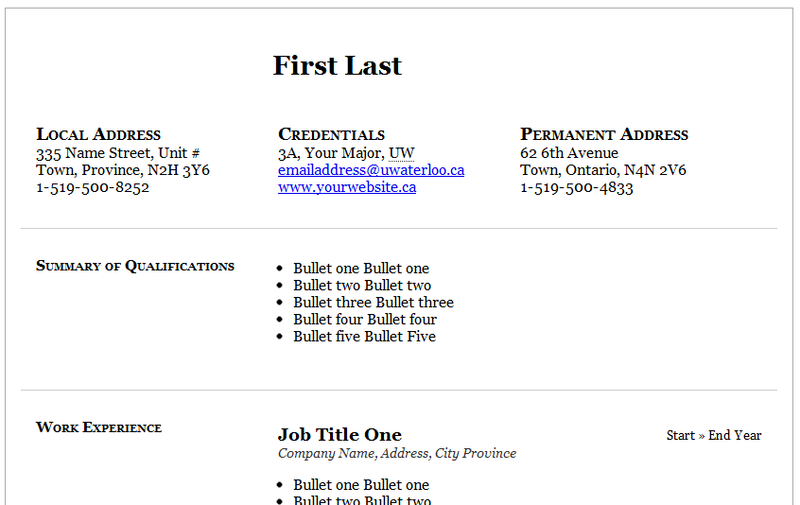 Then see off old style resumes in a two or three pages and create a website resume with popular resume website templates. There are plenty of advantages if you are having an online version of your resume. I am sorting out some of the advantages which should help you stand out compared to other applicants. Uniqueness: Having a website resume should help you to become unique in the bunch of job seekers. 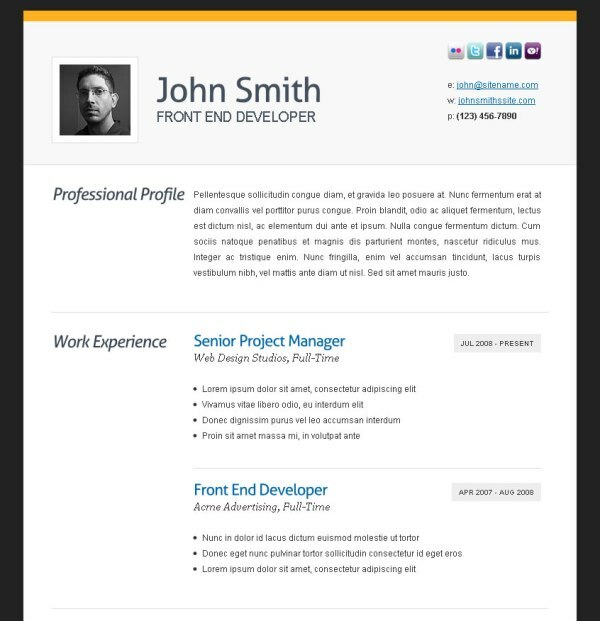 Some times more people will come with website resume ideas. 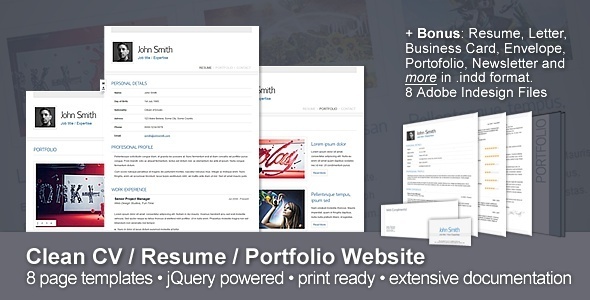 Resume website with more advanced styles should get more advantage. 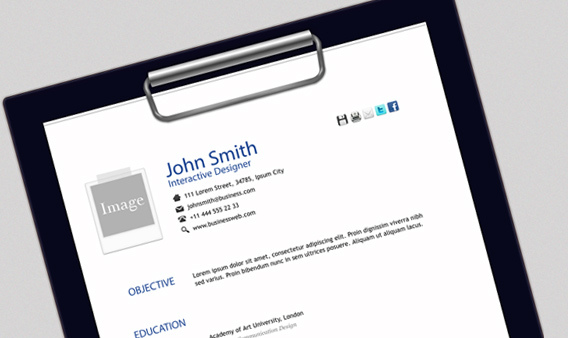 Easy to showcase depth of skills: Resume templates should help to showcase the depth in skills. 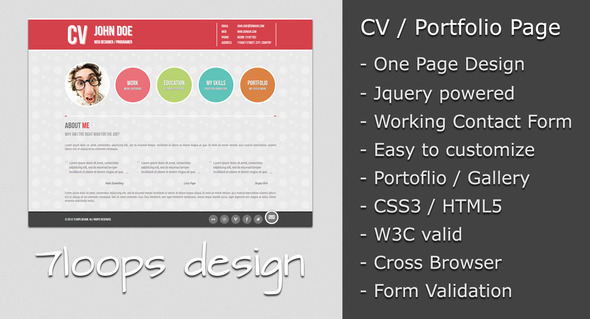 In a website we can easily embed the skill level using advanced charts or simply using css3. Ease of use: Ease of use is one of the main advantage of E resumes. 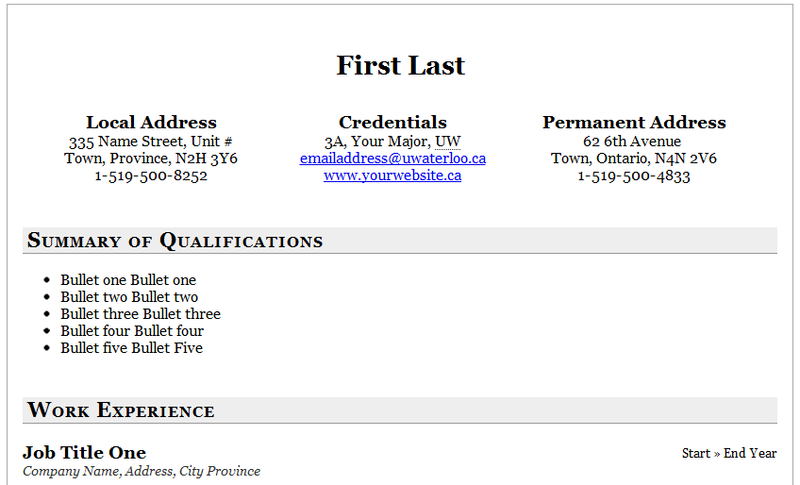 You have to send only link of your resume to show case your skills in front of potential employers. Faster way to get jobs: Website resumes should help us to get jobs in a much faster way. 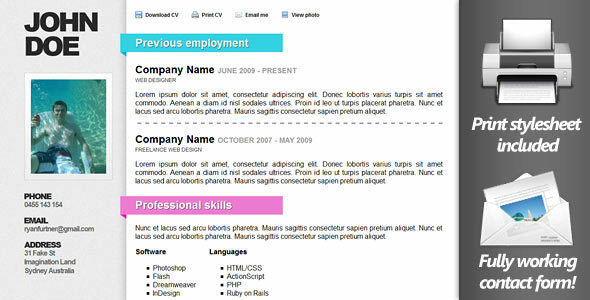 Since small number of peoples are using Website resumes it should help you to reach in the top list. That should increase chance of getting jobs. 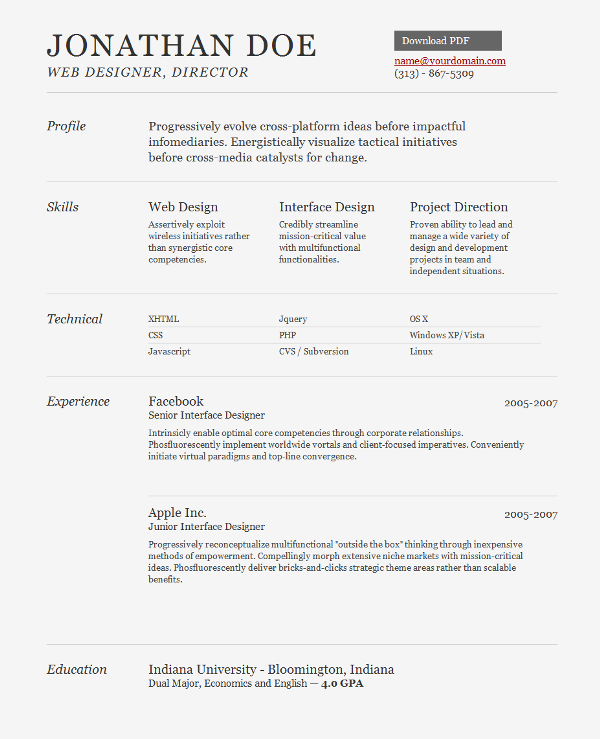 Minimal and Neat: Your Resume should be minimal and neat. Minimal web design is always attractive but have to be neat as well for better attention. 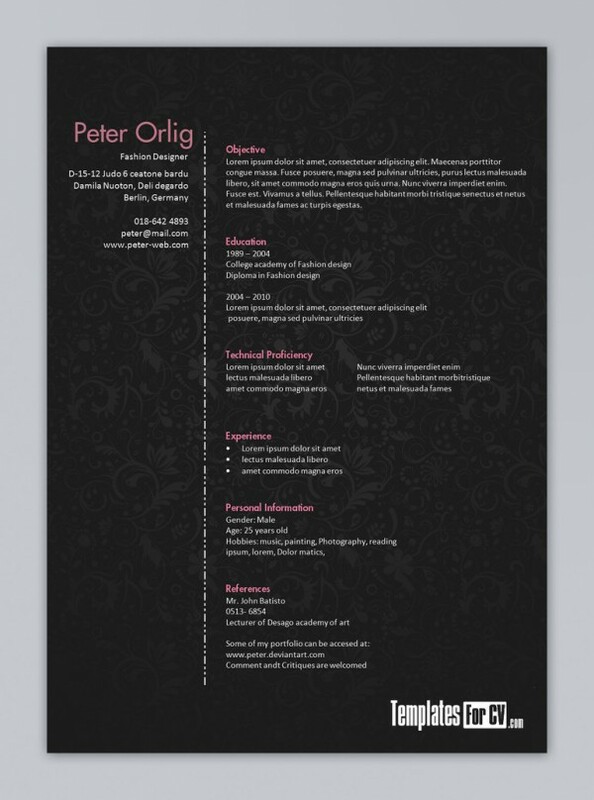 One page Resume Template: Your E resume should be single page. Can use multiple pages if you have to show a lot of skills. But keep it minimal to load it more faster. 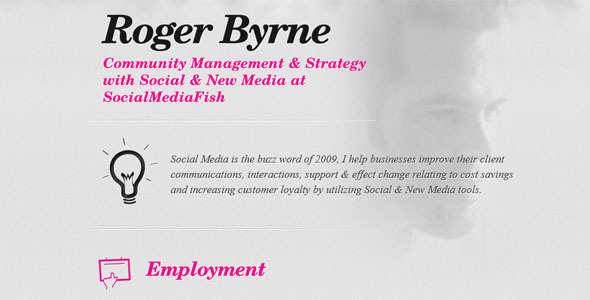 Include ABOUT ME, Work experience, Education, My skills, Portfolio for better understanding of your key features. Use a Reputed web hosting company to avoid down time of your resume website. 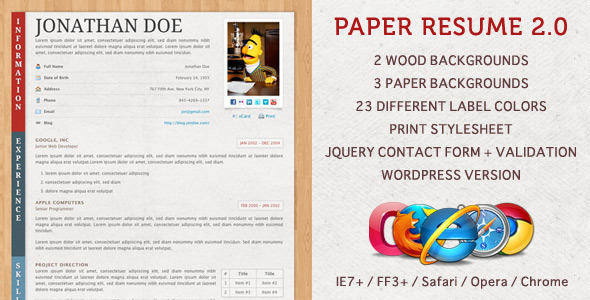 Have a look at this sample resume templates to build your resume website. 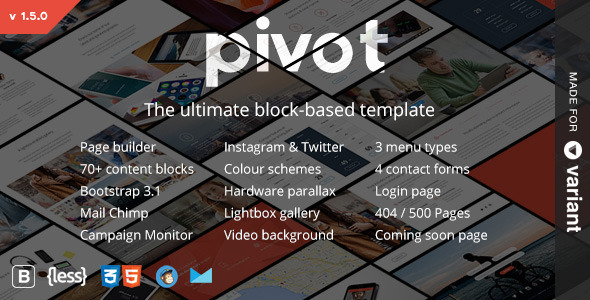 Pivot is a fully-featured multi-purpose, responsive, Bootstrap based HTML 5 template that looks effortlessly on-point in business, education, agency, portfolio or resume template applications. 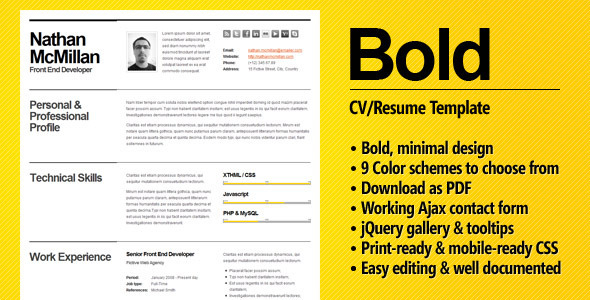 This is a clean, modern and colorfull (optional) Resume/CV theme suited for everyone! It is very easy to edit and includes 10 minutes of video documentation showing you exactly what to do! I hope you gone through some of the free resume templates. I shared some simple templates and some advanced templates as well. 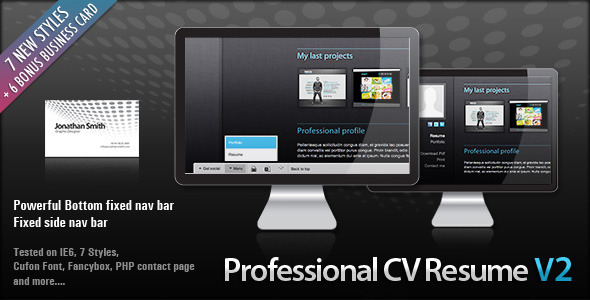 Now we can look some of the premium Resume Templates for your Resume. 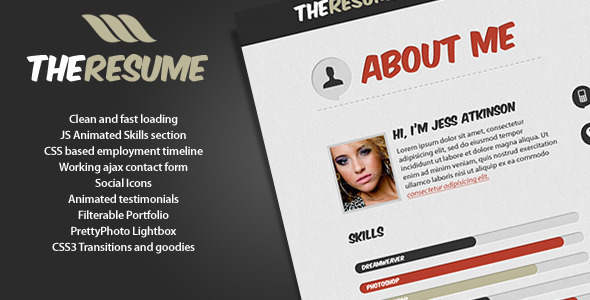 Download free resume template and create your first resume website. 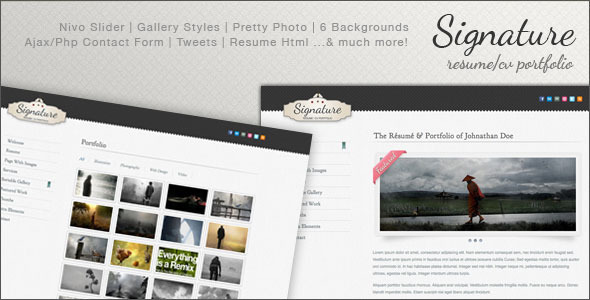 Free templates are pretty descent but premium themes should help you to create more professional website. This is a very good collection of templates. I am going to use one of them. Thanks for the tip..